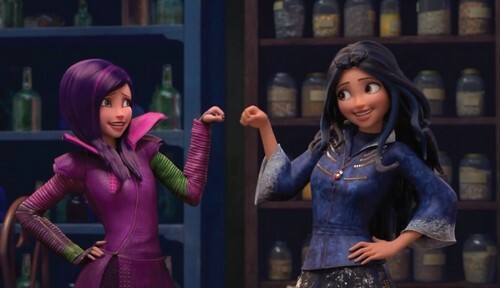 Mal and Evie in the Animated show: Disney's Descendants' Wicked World. . HD Wallpaper and background images in the डिज़्नी club tagged: photo. This डिज़्नी photo might contain hip boot and thigh boot.